Whether it’s snorkeling cenotes, learning to surf or simply relaxing by the pool, Mexico is the perfect place to take the whole family this Easter Holiday. There’s no end to the adventures on offer, but choosing the right place to stay is essential when creating the vacation of a lifetime. 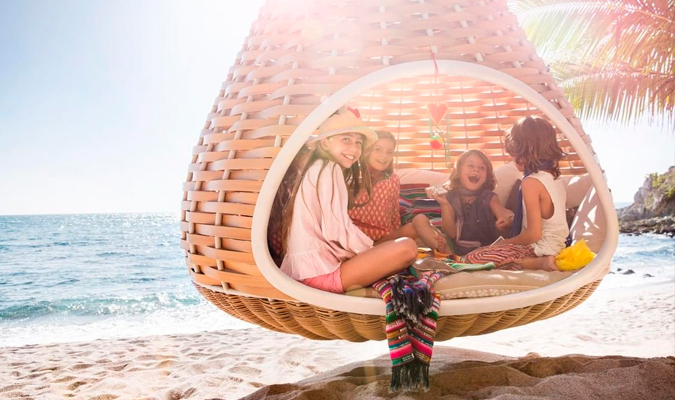 To help, here are five magical hotels in Mexico for Spring Break with your family. Refresh, relax and rejuvenate at the luxury retreat One&Only Palmilla in Los Cabos. For the adults, the elegantly-designed resort boasts stunning views over the Sea of Cortez plus a cutting-edge spa nestled within vibrant tropical gardens. Take some time out and unwind in their outdoor relaxation areas and yoga garden. When it’s time to get your heart pumping, there is also a state-of-the-art fitness center plus a host of activities including scuba diving, snorkeling and surfing lessons with a TropicSurf Pro. When you fancy cooling off, One&Only Palmilla boasts access to one of the only swimmable beaches in the region plus two ocean-view infinity pools, one for adults and one for families. 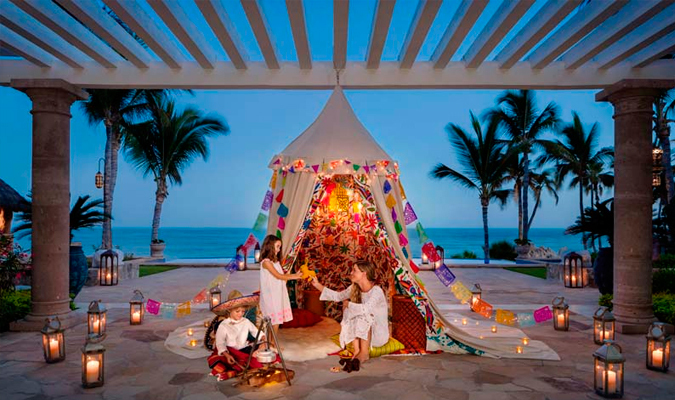 Belmond Maroma Resort & Spa offers a wealth of activities for young and old alike. Adults can relax in the traditional temazcal sauna and climb the observation tower for magnificent views over white sands, turquoise seas, and gorgeous green foliage. Children will love to explore the labyrinthine walking paths which cut through the lush jungle, taking in exotic wildlife including colorful parrots. There’s also a host of activities designed for kids including kite flying, archery, and ceramic painting. 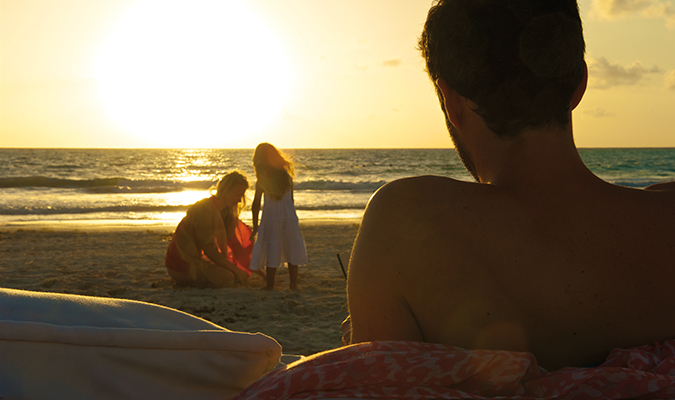 Head to Four Seasons Punta Mita for a luxury family stay on the northern tip of the Bahía de Banderas. There you’ll be able to take advantage of the resort’s enviable position on the edge of the vast expanse of water. Guests can snorkel, fish or do a spot of whale watching. Alternatively, the Four Seasons also boasts a state-of-the-art spa, cutting-edge fitness center, and a pool complex with an array of swimming facilities including a family infinity pool with stunning vistas over the mighty Pacific. 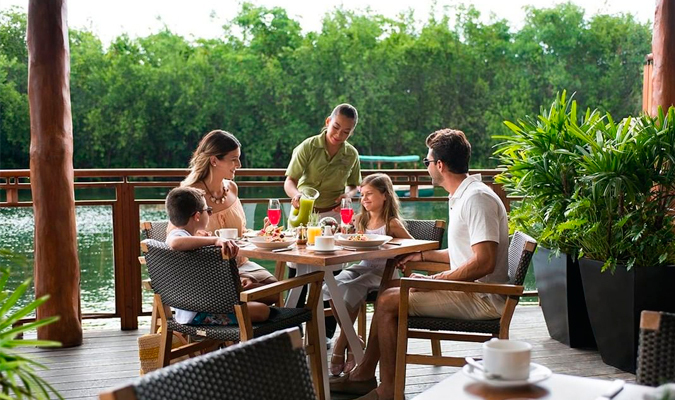 Designed with the whole family in mind, the Fairmont Mayakoba resort boasts five swimming pools, a private beach club, and three restaurants. Activities are at the heart of the gorgeous Riviera Maya hotspot with guests able to take advantage of nature trails, boat tours, and the famous El Camaleon Golf Club. Children can make friends at the Discovery Club in which they’ll flex their creative talents by creating unique Mayan-inspired handicrafts among many other fun activities. 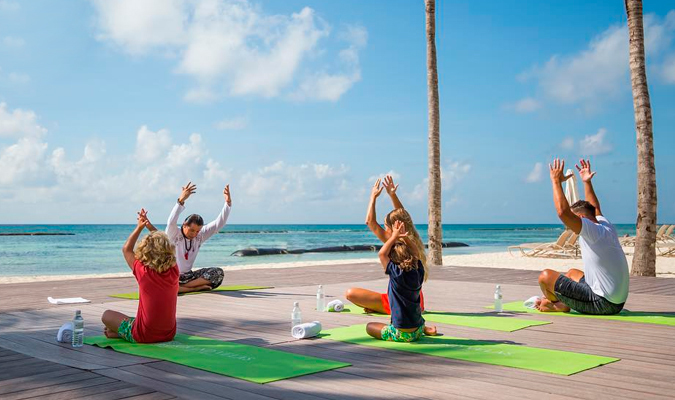 Grand Velas Riviera Maya brings family entertainment to the next level with a dedicated resort just for parents and children. The Ambassador, as it is known, features 195 large suites with Jacuzzis, sitting areas and private terraces with stunning ocean views. Everyday stresses disappear with hydro-massage baths and rain showers. Plus, to keep the youngsters entertained and the adults free, the resort boasts a Kids’ Club for four to 12-year-olds and a Teens’ Club for ages 13 to 18.